Dr. Craig Carlson, age 68, of Grand Rapids, went to be with the Lord on Wednesday, July 4, 2018. 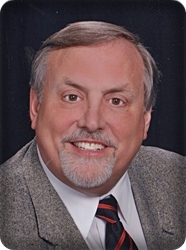 A licensed chiropractor, Craig operated Carlson Chiropractic Center for many years and was a member of MI Chiropractic Council, where he served as treasurer for two years. He will be remembered as a pilot, fisherman, actor, umpire, and pyrotechnician. Craig was active in civic organizations and his church. He was a former city councilman in Belding, MI, where he served one term as Mayor in the 1980's. He was preceded in death by his parents, Arthur and Betty; sister, Melanie Harkes; and his parents-in-law, Bob and Eddie Rooda. A beloved husband, father, and grandfather "Papa", Craig will be lovingly remembered by his wife of 47 years, Mary; his children, Michael Carlson, Matthew and Brie Carlson, Marc Carlson, Mindy and Justin Polk; grandchildren, Eme and Gabe Carlson, Charlotte and Ainsley Polk; sister-in-law, Sue Sennott; and his nieces and nephews. The family will greet visitors on Saturday, July 7, from 2- 4 and 6 - 8 at Stroo Funeral Home, where the service will be held at 12 noon on Sunday, July 8, with Dr. Charles Roost officiating. Interment in Blain Cemetery. In lieu of flowers, memorials may be made to Eight Seven, a mission organization founded by Dr. Charles Roost. So sorry to hear about your loss of Craig. It has been a while since our time together at KCC We just wanted you to know of our thoghts and prayers for the family. Blessings as you travel this road. Thoughts and prayers going to all the family. What a great man to have met through Mindy. Our prayers will be with you today and ongoing. So incredibly sorry to hear about Craig. My thoughts and prayers are with you all.